Theres always a staple brand that will catch your eye when you glance into a bars bottle fridge. One that everyone knows, but may not usually see is Estrella Damm. Why? It’s one of Spain’s most famous brands, shouted at you with a smile by your Spanish waiter on your yearly holiday to sunnier climates, yet in 2012, ‘The Beer of Barcelona’ aired their first UK commercial featuring the band Billie the Vision and the Dancers. So in a way, the UK has only just been officially introduced with a marketing avenue that many brands take advantage of straight away. But after sampling some of the Estrella Damm range, I can understand why they haven’t been in such a hurry. 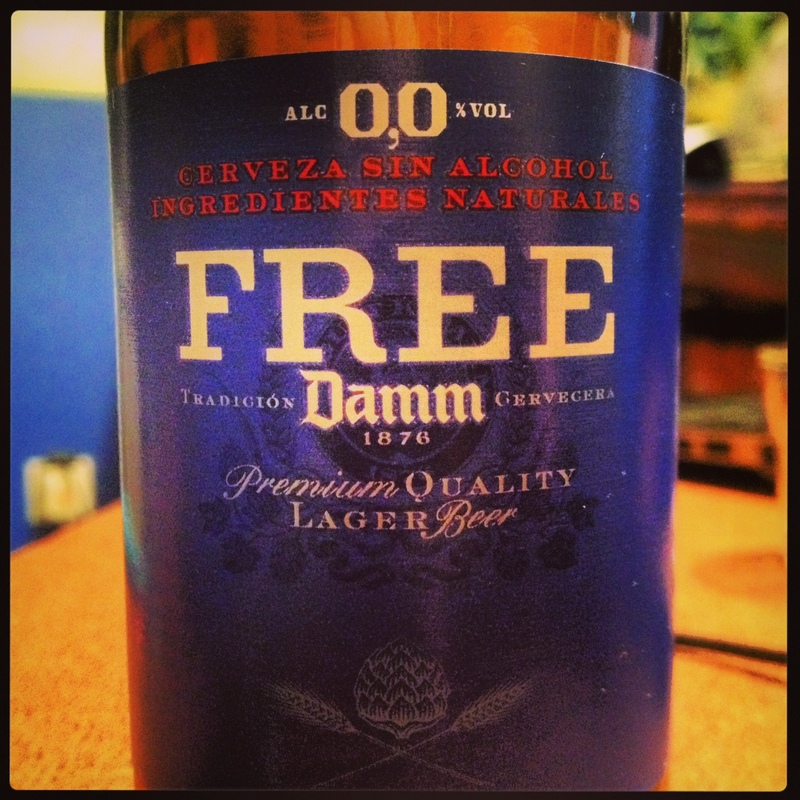 Before I come onto them, let me tell you a little about Estrella Damm, and how it came to such prominence. In the spring of 1872, August Kuentzmann Damm and his wife Melanie left their native Alsace due to the Franco-russian war and settled for Barcelona. Whilst taking advantage of the climate, food and the better quality of life that Barcelona offered, August founded his own beer company in 1876 to continue doing what he had always done – produce beer. This trend carries on to the present day where currently we are into the eleventh generation of Master Brewers. With generations of Master Brewers comes consistency. Estrella Damm work with the farmers in the Ebro basin to obtain barley that hold all of the characteristics that the Master Brewers are after. They continue to malt in the very own Bell-Lloc (Lleida) malthouse, making them one of the few breweries in Spain and in the world, that still produces all of its malt barley in its own malthouse. With this, they continue to use the original recipe as the basis, including the Mediterranean pearl rice. A light malty aroma on the nose with a little spice drifting through slowly. The palate enjoys a smooth offering of darker malts, toasted flavours and creamy hops. A slight dryness near the end with a low carbonation. Created using six parts beer to four parts lemon. Fresh citrus instantly noticeable on the nose with a rather light scent. Smooth and subtle citrus on the palate, not as strong as expected. A mouth-watering long finish with no hints of dryness. Refreshing. Inedit means “Never been done before”. In cooperation with the Brew Master of Estrella Damm, Inedit was crafted by the globally acclaimed chef Ferran Andria, Juli Soler and sommeliers Ferran Centelles and David Seijas from ElBulli Restaurant. It’s a skilfully brewed blend of lager and wheat beer styles, using a combination of barley malt, wheat, hops, coriander, orange peel, yeast and water which is then aromatised with coriander, orange peel and liquorice. Subtle orange and grain aromas on the nose, with malt and spices following. Fresh wheat and a small kick of spice present themselves on the palate, with the citrus flavours keeping themselves till the long finish. Easy drinking. Made with the same ingredients used to make alcoholic beer. Yeast is added and allowed to ferment to produce alcohol in the natural way. Then, thanks to an advanced technique they call ‘vacuum distillation’, they are able to bring the percentage of alcohol down to 0.0% without changing the beer in any way. Plenty of wheat on the nose, with a soft, refreshing aroma coming through near the end. Light on the palate, with hints of toasted malt making their way around. Lingers slightly. For me, it’s a rather stunning portfolio, and I can appreciate why it has done so well in International competitions, winning in Vienna 1904, London 1905, Munich 1906, Paris 1964, The World Beer Championship 1998 – Australia and The World Beer Championship 2004 – Chicago. And it goes well with food. The Estrella Damm combining with fish, chorizo, ham, salads, and squid – covering a good range of food categories which makes it ‘The King of Barcelona’ time and time again. Mp3 Converters available on the net. To be successful one should be sure that the goods a customer orders can be delivered on time. strategies used to rank highly in specific Google search queries. all of your social media sites.